this was only £40 (reduced to £20) last year - i can't believe how much they've put the price up in one year! i know, full price would be crazy but good when half price. we bought this and the boot last xmas for our then 17 month old but she's only recently started properly playing with them now - and loves them! 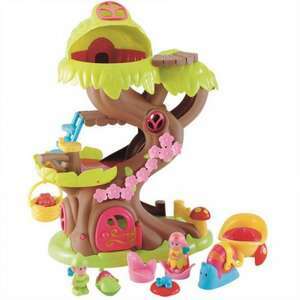 I love happy land toys. like the other posters in wouldn't pay full price as they often go on sale. I think I got the tree house for 18 earlier this year. It's a shame the store and play boxes aren't half price! I got one for a tenner a few month back and could do with another 5 with the amount of HappyLand I've bought! I feel like I'm living in HappyLand! Saw those on sale in Tesco for 20 last night. Plenty on the shelf. May worth checking your local big stores.